Jin Jun Mei is a new Chinese black tea. It was created in 2005 in Tong Mu Village of Wuyi. Though it is not a historic famous tea, it has become one of the best seller tea in China. Many hold it as the best Chinese Black Tea. To know this tea better, it is necessary to have the background knowledge of the course of its creation. 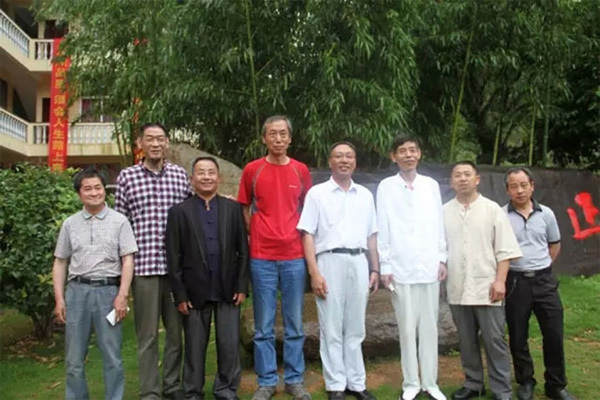 In the hot summer afternoon of Jul.15, 2005, the president of the black tea company Wuyi Zhengshan Tea Company, JIANG Yuan-xun was accompanying his customers Mr. Zhang and Mr. Yan from Beijing Ma Lian Dao Tea Market. (Jiang’s family and company had been all the while engaged in the processing of Lapsang Souchong Black Tea in the Tong Mu Village where is the birthplace of the world earliest black tea Lapsang Souchong). They were seated in the shadowy place in the company yard. They were chatting freely when a woman farmer passed by with a sickle. Mr. Zhang wondered what the woman farmer was doing in such a hot timing of the day. And Jiang told him that she was going to manage the tea garden. 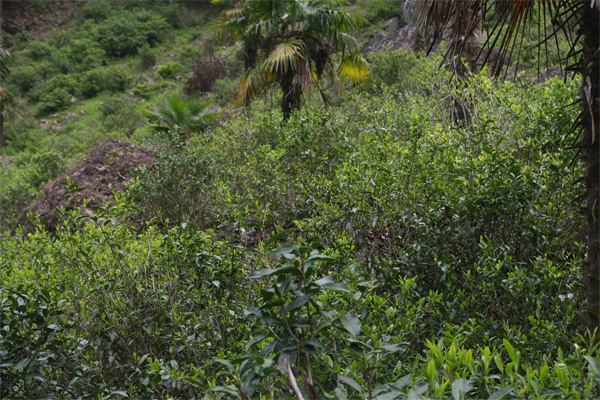 Zhang felt surprised and sympathetic with the women farmer that she needed make a living by such hardships. 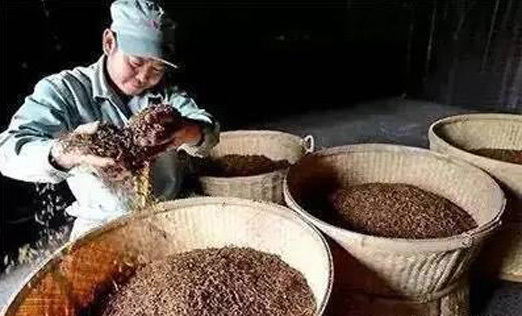 Thus he gave Jiang an advice not to follow the traditional processing of Black Tea using low standard material, and improve the material standard to make high quality black tea as green tea and lift the salary for farmers who pluck high standard material. Jiang took his advice and asked the woman farmer to pluck single bud material from the xiao cai cha tea garden in the afternoon. In the evening, the woman farmer collected 750g single bud. She got well paid. Then Jiang arranged the processing of the tea. After the tea was withered, he had to ask his worker to roll the tea by hand. Because the quantity is so little and also single bud material is not suitable for machine rolling, he could not use machine to roll the tea. After rolling, the tea was fermented. During the fermentation, Jiang and his staff smelled honey sweet flavor given off by the tea. Finally the tea was sent to dry. Jiang ask his men to dry the tea by traditional charcoal baking on the bamboo basket. He got 150g of the trial product black tea. The next day, Jiang and his Beijing friends tasted the tea. The quality was surprisingly good! The honey and flowery flavor was full of the tea room. The taste was mellow, sweet and smooth and the aftertaste is very deep. And aslo the appearance of the tea was awesome. The color of the tea body is bright dark, and covered by golden hair. There are golden tips. The tea looks like running horse in the tea tray. So the tea was named as Jin Jun Mei. Jin means Gold in Chinese. The inventor used Gold to express the value of the tea, and there are golden hair and golden tips of the tea. Here we would like to explain that Jin was not meant to describe the the tea color is all golden. 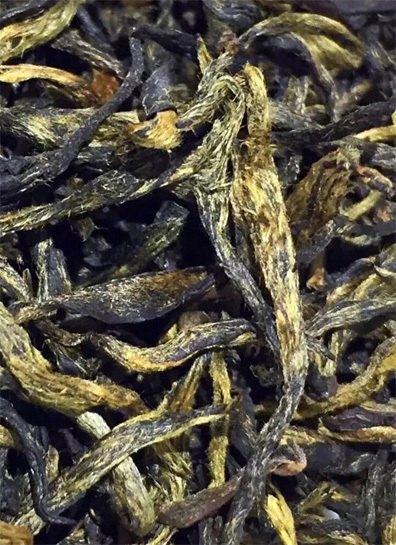 The actual color of genuine Jin Jun Mei is bright dark, dotted by golden color (Darkness is the main color of Jin Jun Mei tea body); Jun means fine horse in Chinese, and also it can be extensively meant high mountain in ancient Chinese (In ancient Chinese, fine horse and high mountain can be written as the same). In the name Jin Jun Mei, Jun expresses that the tea shape looks like fine horse and also indicates that the tea comes from high mountain. According to the inventor, one other meaning by the wrod Jun, expresses his hope of the business growing fast like running horse; Mei (Mee) is eyebrow in Chinese. The Chinese teas have the tradition of being named by Mee, eg, Chu-mee, Shou-mee. 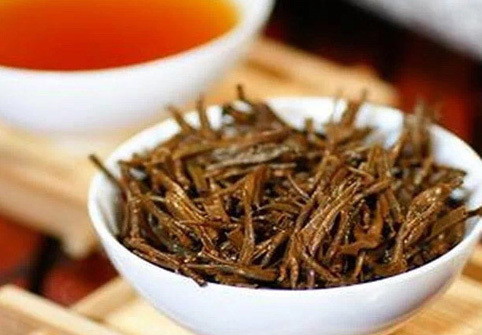 Mee can describe the cute body of high grade tea, and also it is connected with longevity and health in Chinese literature. 1, Jin Jun Mei is not Lapsang Souchong. Though the birthplace is the same, the history, the processing and the material resource is different. Lapsang Souchong was invented four hundred years ago and well accepted by the overseas market (In China domestic, the Lapsang Souchong had not been popular tea all thewhile). The processing of Lapsang Souchong is featured by pine smoke scenting besides the black tea processing, while not for Jun Jun Mei. The material of Laspang Souchong is one bud two leaves and three leaves, and the material for Jin Jun Mei is single bud. 2, The material source of Jin Jun Mei in its birth is the Xiao Cai Cha,which is a mixed tea cultivar planted in North Fujian for thousand of years. 3, The rolling of Jin Jun Mei was conducted by hand in its birth. (Later they had improved this handling to machine rolling in the beginning with light pressure, and then in the end subject to hand rolling. The killing of enzymes and drying of tea was conducted on the traditional bamboo basket heated by charcoal. 4, The color of Jin Jun Mei is not all golden.The tea body of it is mainly bright dark color with golden tips instead. Maybe this is different from many people’s expectation of this tea. But this is true. As we know that the Xiao Cai Cha mixed cultivar does not have so many hairs as the commonly planted tea cultivars Fuding Da Bai and Fuyun No.6. What’s more, the trial Jin Jun Mei was harvested in July 15, when it is in the mid Summer and the tea proceesed in this time is overall dark in color (Dark/Golden might be roughly 6:4 according to the experienced tea drinkers). 5, The tea body of Jin Jun Mei is slim cute and curly, instead of fat broad and straight. Nowadays there are some so called Jin Jun Mei made by big leaf cultivar. eg Yunnan Big Leaf Tea. They have big fat tea body. The quality could be good. But they are not genuine Jin Jun Mei. 6, The Jin Jun Mei has honey flowery flavor, and the taste is strong and smooth mellow, especially the aftertaste is very deep. These are quality charactered brought by the Xiao Cai Cha cultivar and refiend processing. 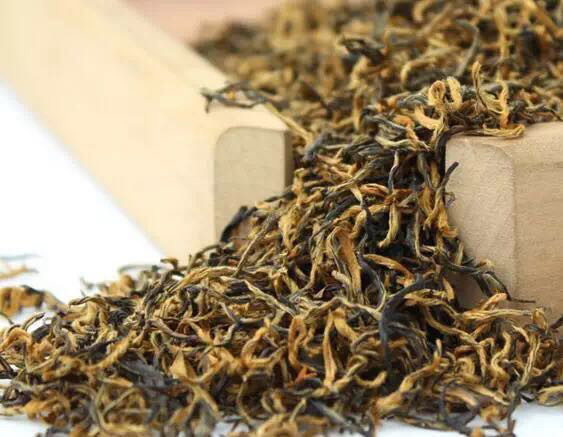 Besided the Jin Jun Mei, Yin Jun Mei black tea was also created in recent years in Tong Mu Guan which adopts one bud one leaf material from the local mixed tea cultivar. Yin means silver in Chinese. Generally Yin Jun Mei can be considered as a lower grade Jin Jun Jun Mei. These are the list of the black tea created and produced in Tong Mu Guan of Wuyi. Our company supplies these black tea products from the world black tea birthplace Tong Mu Guan, welcome to inquire with us, info@wufeng-tea.com.